Baby Esther (Sweet Melody by Laura Tuzio Ross) has been adopted and is now living with her new family in the USA. 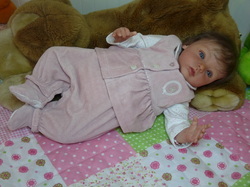 Baby Sophie (Rainer by Romie Strydom) has been adopted and is now living with her new family in Norway. 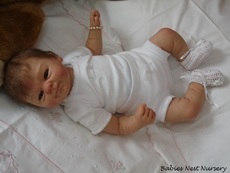 Baby Amelia (Cianne by Romie Strydom) was a custom order and is now living with her new family in Portugal. 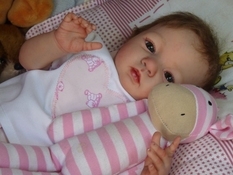 Baby Mirabelle (Coco Malu by Elisa Marx) has been adopted and is now living with her new family in Portugal. 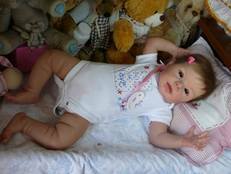 Baby Morgan (Morgan by Aleina Peterson) is a custom order and is livign with her new family in Portugal. Laetitia (Porsha by Romie Strydom) has been adopted and is now living with her new family in Portugal. I'm gonna miss you, my chubby girl! Danielle (Petra by Linde Scherer) has been adopted and is now living in the USA with her new family. Daniel (Daniel by Linde Scherer) has been adopted and is now living in the USA with his new family. 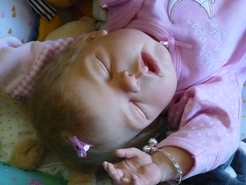 Magui is a Lila sculpt by Romie Strydom. 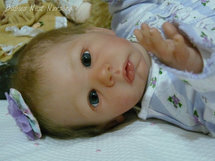 She is a custom order and is now living with her new family in Portugal. 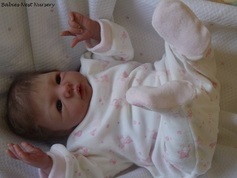 Matilda is an Aubrey sculpt, by Denise Pratt. She has been adopted and is now living with her new family in Portugal. Francisco has been adopted and is now living with his new family in Portugal. Carmen has been adopted and is now living with her new family in Portugal. 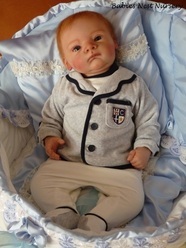 Diego (Kai by Jannie de Lange) was a custom order and is now living with his new family in Portugal. 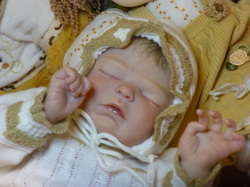 Isabella (Krista by Linda Murray) was a custom order. She is now living with her new family in Portugal. 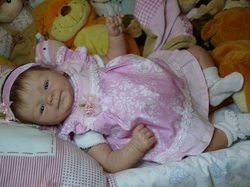 Sophia (Lila by Romie Strydom) was a custom order. She is now living with her new family in Portugal. Benedita (Hattie by Cassie Peek) has been adopted and is now living with her new family in Portugal. 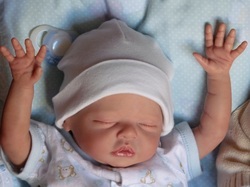 Max (sculpt by Gudrun Legler) has been adopted and is living in the USA with his new family. I will miss you sooooooooo much, my wonderful little boy!! Luke (Bruno by Karola Wegerich) has been adopted and is living in the USA with his new family. Flor (Coco Malu by Eliza Marx) was a custom order. She is now living with her new family in Portugal. 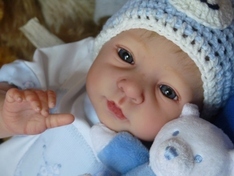 Buggy (sculpt by Bonnie Brown) was a custom order and is now living with his new family in Portugal. Catarina (Lovelyn by Ping Lau) was a custom order. She is now living with her new family in Luxemburg. 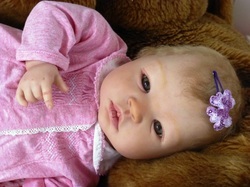 Eduarda (Henry by Sheila Michael) was a custom order. She is now living with her new family in Portugal. 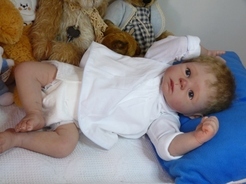 Mel (Noah by Reva Schick) was a custom order and is living with her new family in Portugal. 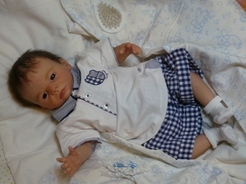 Maria João (Shannon by Ann Timmerman) was a custom order and is living with her new family in Portugal. 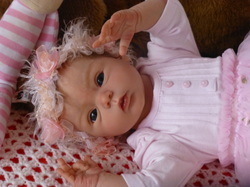 Maeva (Shyann by Aleina Peterson) was a custom order and is living with her new family in Portugal. 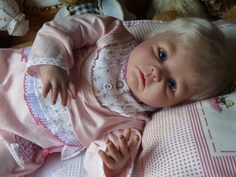 Livia (sculpt by Gudrun Legler) was a custom order and is living with her new family in the USA. 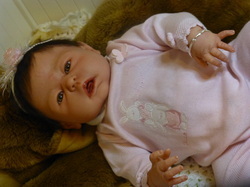 Sara (Dakota by Sheila Michael) was a custom order and is living with her new family in Portugal. Francisca is a Sera sculpt by Marissa May. 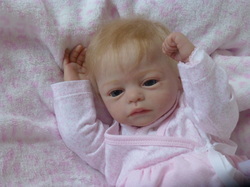 She was a custom order and is now living with her new family in Portugal. Gaby is a Sharlamae sculpt by Bonnie Brown. She is now living with her new family in Portugal. Patricia is an Ella sculpt by Dollimixtures. She is now living with her new family in Portugal. Petra is a sculpt by Linde Scherer. 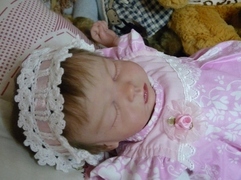 She is now living with her new family in the USA. 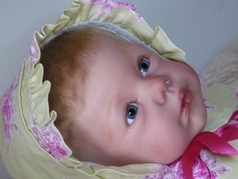 Johanna is a Kissable sculpt by Marita Winters. She is now living with her new family in Portugal. Francisca is now living with her new family in Portugal. Livia is a sculpt by Gudrun Legler. She is now living with her new family in Portugal.